The latest footbag action on Instagram for March. This post is a little delayed. I was early in posting February’s highlights, so there’s been a bit of a gap. Apologies for that for anyone who was holding out for the latest Insta-roundup. Here’s something from me to begin. Unfortunately I haven’t got as many as these type of clips this year, but here’s me playing footbag on the Gibraltar Peak walk in Tidbinbilla Nature Reserve. Sebastian Ceballos has really improved in the recent years, especially combining hand and foot juggling in the style of the great Peter Irish. 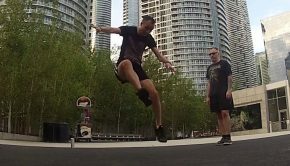 He’s raising funds to attend the World Footbag Championships in Poland this year. 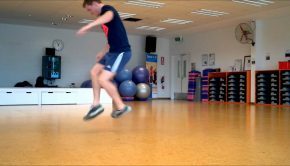 He’s now adding some great work with the skipping rope as well. I have featured Franck in a couple of previous columns, he’s got a great style. What I really like about this short clip is all the action happening in the room at the same time. Looks like fun. These guys are having a great time playing hack outside their job. That’s such a great way to get started and a good way to chat with workmates once the day is done. They came pretty close to getting a full hack too. I’ve featured Taishi Ishida a lot over these columns, but that probably won’t change if he keeps sharing great experiences like this. 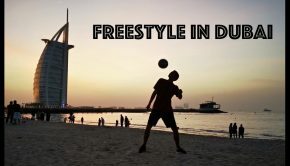 Listen to the crowd at the Freestyle Football Dream Match. 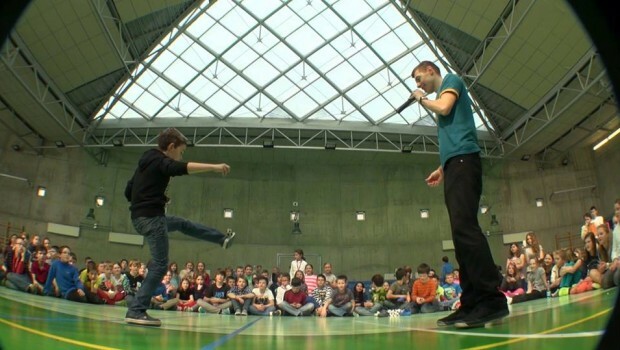 This is a great picture from Katharina Reich, with footbag featuring in the art world. Quite cool. Bruce Li from China charges in with 3 x spinning swirl in a row. Awesome stuff. 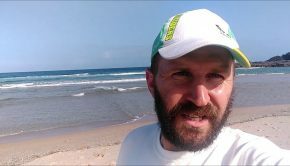 This family from Ireland have taken to footbag in a big way, and are sharing their adventures with it. It’s really awesome to see the whole family getting involved and improving all the time. Here’s Wiktor Debski going hard in a flashback post. He’s climbing up the rankings in the net world, but still freestyling hard. Spinning eggbeater is something I’ve been working on a while without success. Here’s the ageless Scott Davidson in California. A great background on this shot, which was taken on a recent trip there. Here is Honza Weber testing out the Quantum 4 shoes on that famous Prague surface. They are looking pretty good, some huge tricks here.